The new stylish Spirit wheelchair uses the latest in wheelchair design to produce an elegant yet highly practical wheelchair. The sculptured frame is constructed from lightweight aluminium for durability and responsiveness. The Spirit wheelchair includes many features not normally found on wheelchairs in this price range. 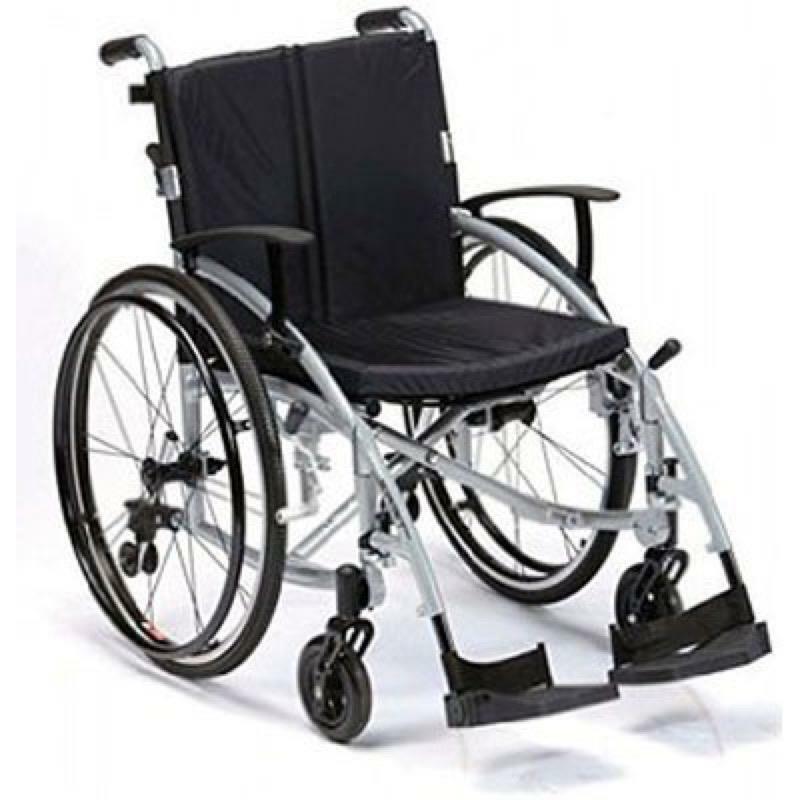 These include one touch adjustable arm rests, padded seat cushion and adjustable back rest, height adjustable anti-tip wheels, long reach brake handles and a choice of 4 frame colours. Available in yellow, silver, metallic red and metallic blue.